I did not make that up. My eyes are welling with tears just recalling that moment. How sweet of him to know how blessed he is, and to want to help someone who has less then he does. I agreed immediately. 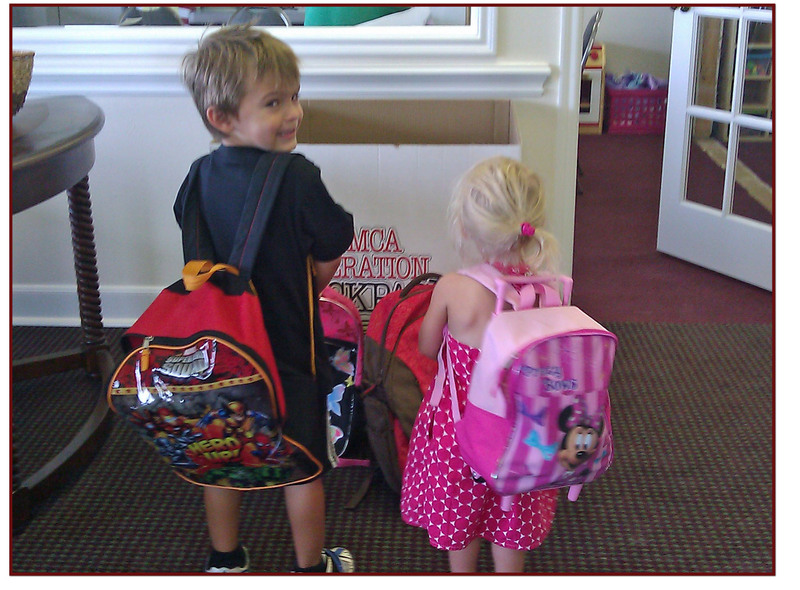 To help kids prepare kids for the start of school, our local YMCAs sponsor a backpack drive called “Operation Backpack” . Our church decided to take part in this endeavor, so I thought it would be perfect for Tyler’s precious desire to donate his old backpack. We actually did this a few weeks ago, but I am just getting around to posting it. I think they “technically” want brand new backpacks, and though we’d taken the tags off of Tyler’s old backpack, it was still unused. In my house this qualifies as “new”. Tyler and Madison helped me with this project because Cole was not feeling well. 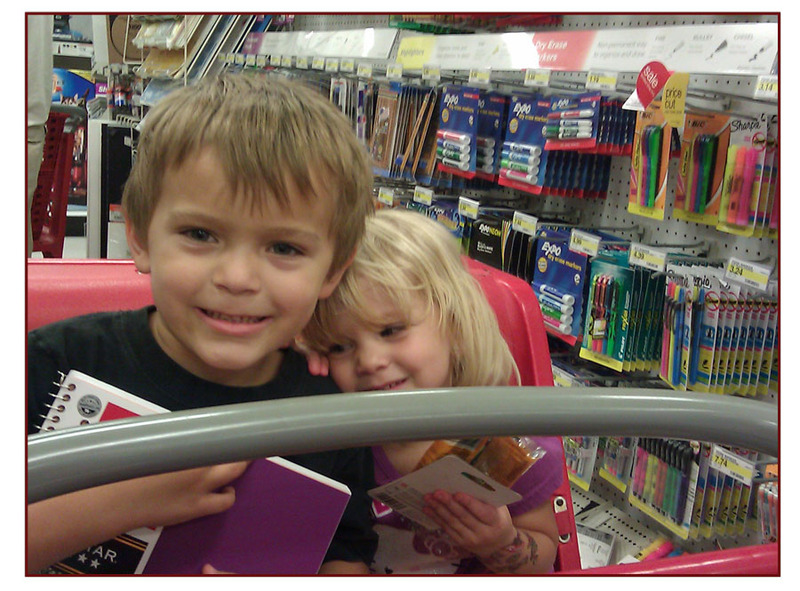 We took a fun trip to Target to get school supplies, and I was SHOCKED how cheap Target had them. It was awesome! We were able to buy a bunch of goodies to stuff in the backpack. The next day was Sunday, so we took our backpack to church, and the kids proudly set it around the box for Operation Backpack. Tyler is here modeling the donation backpack. Madison is proudly modeling her own new Minnie Mouse backpack. I am so proud of Tyler’s awesome suggestion – and for another service project to help our community!